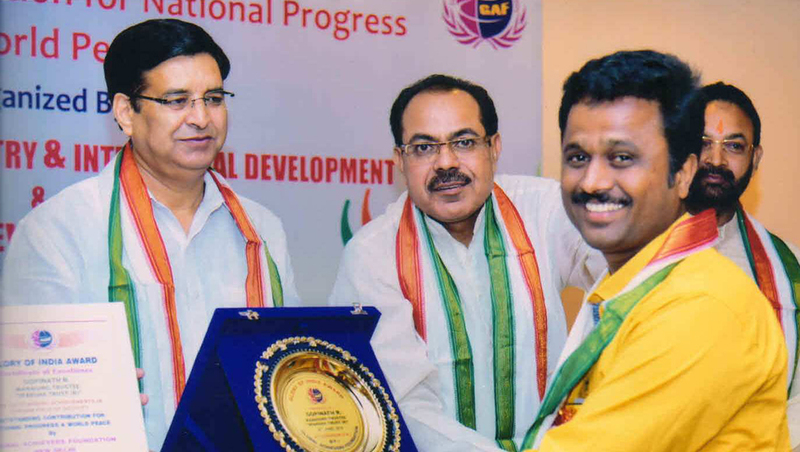 “State Best NGO” in 2014 by Department of Labour, Government of Karnataka, awarded by Honorable Siddaramaiah, Chief Minister of Karnataka. “Glory of India” through Global Achievers Foundation in 2016 for life time achievement. 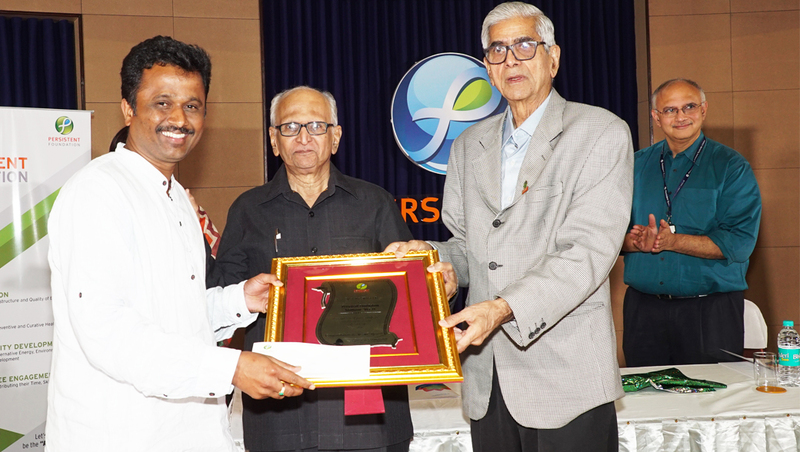 “Persistent Sanman Award-2018” from Persistent Foundation by Padmabhushan Dr. Mehta. 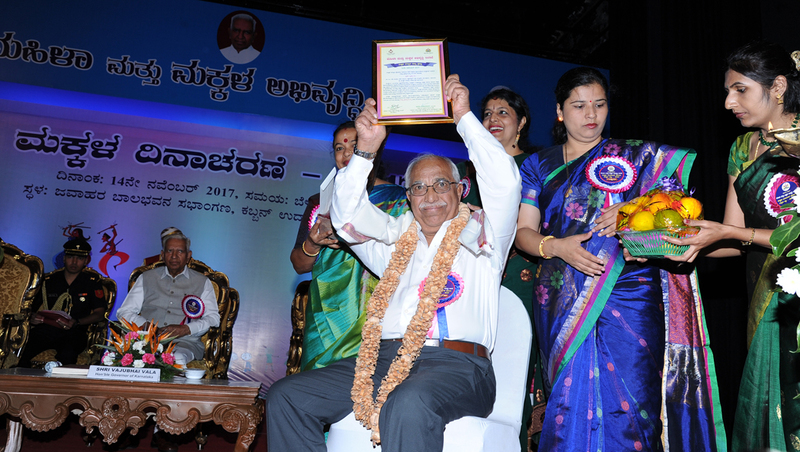 “State Award – 2017” by Women and Child Welfare Department Karnataka, awarded by Honorable Vaju Bhai Vala, Governor of Karanataka, for working towards the upliftment of children who are in need of care and protection. 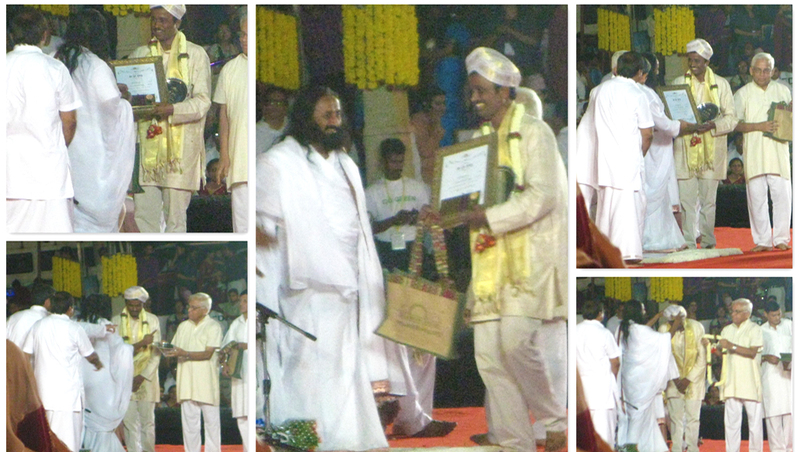 “Sri Sri Award” from the Art of Living in 2013 for working with children. 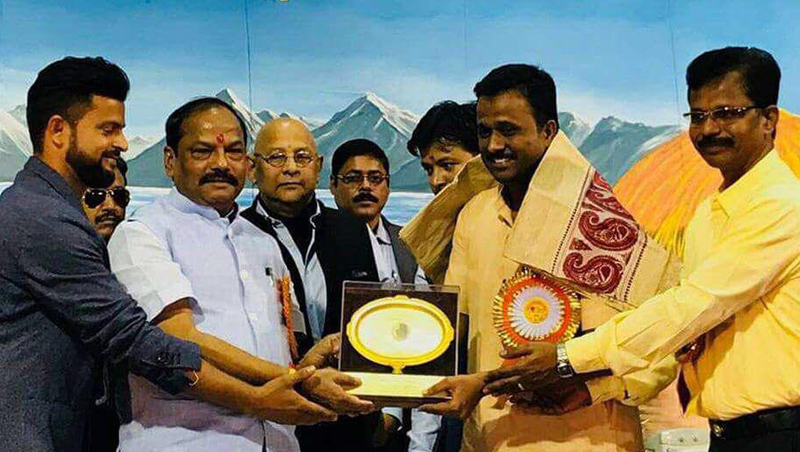 “Prof, Yashwanth Rao Khelkar Youth Award” at Ranchi from Chief Minister of Jharkhand in 2017. Mr. Robert Clemens, CTO and Vice president, Kennametal Inc.
Mr. B.C. Rao, MD, Kennametal India Ltd.
Mrs. Emma Jindal, Director of Finances & Controller, WM Global Technology Services India Pvt. Ltd.
Mr. Andrew Tanner, Director and Head of Engineering at Kennametal Inc.
We firstly congratulate you for the good news and the good work you are doing for child rights in Bangalore,As fresh college student you started with SAFE & Paraspara – with your commitment, hard work and dedication Sparsha has grown to be a reputed organization for child rights in Bangalore. We Congratulate you on the success of Sparsha in its reach to children in need of care, protection and education, and sincerely wish you in reaching your Mission of NISARGA GRAMA a facility for children that provides a home away from home, the right ambiance for growth and where they can enjoy their childhood. I sincerely wish that Sparsh succeeds in establishing a model of this place to showcase how a child sensitive environment in an institution should be , but however only a transitory center that works towards a de-institutionalized approach. Congratulations to you for taking up Nisarga Grama initiative so effectively and now trying to raise funds as well. We wish you all the best in your endeavors. As Suchitra Rao has rightly mentioned, we are very hopeful and expecting a home which will ensure real protection and home away from home for those needy, disadvantaged children. I met Gopi nearly 5 years ago. His infectious smile, persistence and "can do" spirit got me curious enough to investigate the possibility of sponsoring/supporting Sparsha. Once I visited Makaldhaama and I spent time with the children, my heart and soul were both convinced that I needed to be a part of this NGO. Further, the transparency of Sparsha and the fact that the entire benefit goes to children with minimal administrative costs has driven me to bring in others to support it. All the best to the Sparsha team in making Nisarga Grama a reality very soon! We arrived in Bangalore on an ExPat Assignment just over a year ago. We always intended to become involved with a Charitable Trust during our three year stay in India. We were delighted to discover that our company, Kennametal, was already actively involved with Sparsha. We thoroughly enjoy working with the children, the helpers and committee members. We want to make a difference and with Sparsha we know we will.